I’m issuing a Monkey Challenge to everyone! 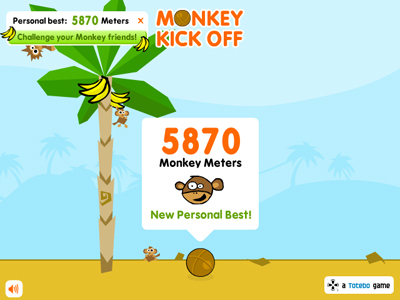 Can you beat my top score of 7002 Monkey Meters? Ahhh, man! 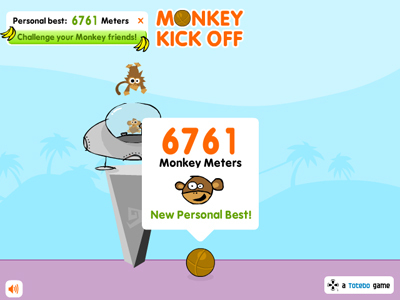 I’ve just been trying to beat 4,552 meters and now you’ve reached over 7,000? How is this possible? What I want to know is what is the ultimate prize? I kind of wish the game would let you live in the moment and celebrate your personal bests with more monkey dancing. Well, back to the game for me!